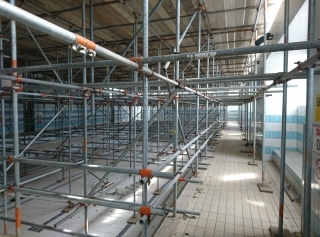 The project consisted of a large Asbestos removal program, which entailed a full crash deck / bird cage scaffold over the swimming pool to allow access to the high level AIB ceiling tiles. 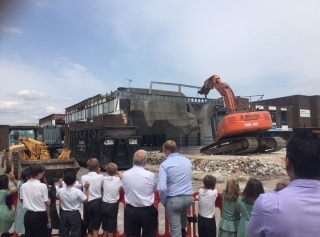 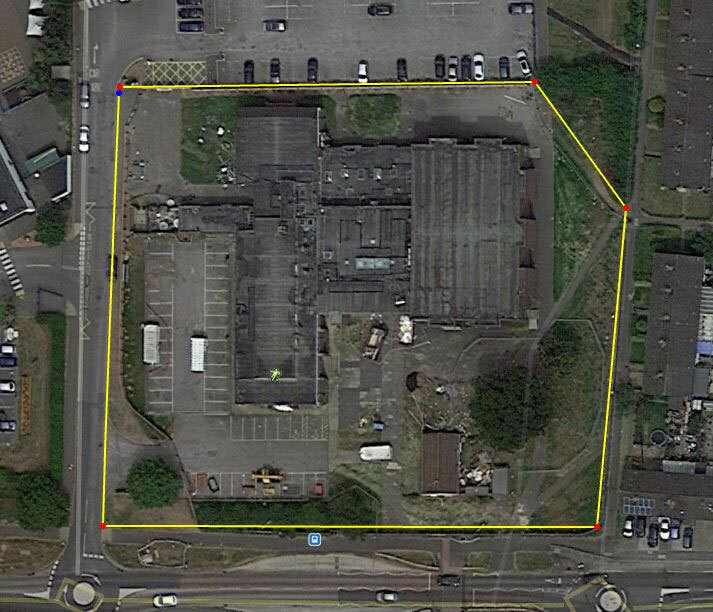 Prior to works on site starting, meetings were held with the three schools surrounding the site to ensure they were fully aware of the works being undertaken. 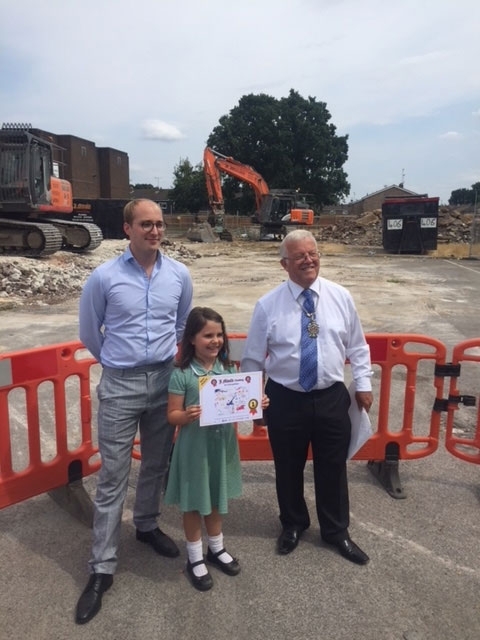 One of the schools was engaged with as part of our CCS and an art competition was carried out to design the hoarding. 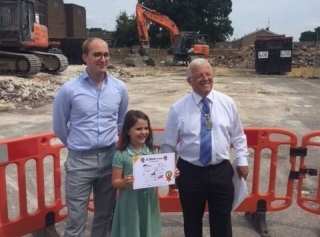 Prizes and certificate were issued for a number of categories and the Deputy Mayor was invited along with Jay Mould to hand out the prizes.